Specific reasons exist that allow a business to grow and expand, such as adding new services or products, targeting new customer markets, expanding into new areas, such as laser etching and additive manufacturing, and manufacturing new products. Seco Machine in North Canton, Ohio, a subsidiary of the A. Stucki Company in Moon Township, Pennsylvania, states that each of the aforementioned reasons are behind the exciting announcement of their new plant location in Green, Ohio. 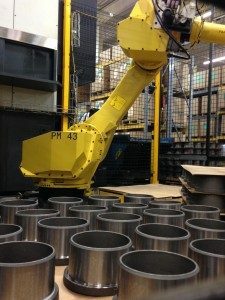 This contract company specializes in precision machining, metal machining, and cast urethane production and explains that the new plant, being constructed by Campbell Construction Company out of Wooster, Ohio, would allow them to create positions for new employees. They have already delved into expanding what they can offer to the growing needs of its customers, and this new state of the art facility allows them to immerse themselves in those and other areas, while keeping true to the growth of its mainstay of railcar components. Businesses interested in prototype production for research and samples for marketing in addition to a plethora of other services can continue to rely on Seco. Seco Machine takes pride in their superior level of customer service and the vast array of ancillary services that they offer for anyone from Moon Township to North Canton. This contract manufacturing company is always striving to exceed the expectations of their employees and customers. 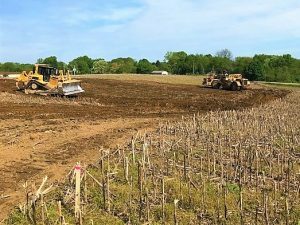 They continue to do so with the announcement of breaking ground on their new facility in Green that is scheduled to be put into operation the first quarter of 2019. They have identified many opportunities for growth in their own business and this is part of the process that will help them to capitalize on those opportunities. The new $8 million plant will encompass 60% more space at 120,000 square feet than their current home of 75,000 square feet. It will include 92,200 square feet for manufacturing, 11,000 square feet for office space, and 16,800 square feet for distribution and warehousing. They look forward to working with local officials and have employed local Campbell Construction Company out of Wooster. Seco Machine has been offering metal machining since 1985, while including cast urethane production since 2010. They also became a subsidiary of A. Stucki Company in the latter year, a Pittsburgh-based business that makes and supplies railcar components and other services to the industry, while spreading to the additional markets of industrial equipment, cars, and trucks. The partnership benefited Stucki’s manufacturing capabilities, while providing Seco with the opportunity to pursue new markets and introduce new product lines. Improving economy and a recent resurgence in the railroad industry has allowed Seco’s customers to grow, with the new plant allowing them to accommodate that growth. They are well-renowned for their comprehensive contract manufacturing work and have added ancillary services over the years — including laser etching, additive manufacturing, prototype production for research, and samples for marketing. The new plant puts them in a position to provide products that are in demand in the industries they serve. The new facility is being built by a local construction company out of Wooster, Ohio, that Seco Machine, a subsidiary of A. Stucki Company in Moon Township, Pennsylvania, and they will move into it in 2019. 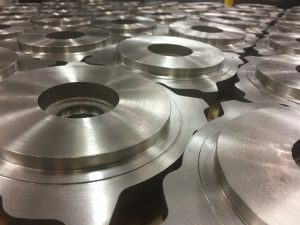 They plan to continue the current growth of their three business lines of metal machining, contract manufacturing work, and cast urethane production. This dynamic machine shop is excited to move from North Canton, Ohio, to Green, Ohio, and add jobs to the area with their new 120,000 square foot space that allows them to continue their impressive growth, offering old and new products to their customers — including prototypes production for research, samples for marketing, and laser etching. Customers across the country will be able to continue counting on Seco for everything from railcar components to additive manufacturing as their growth proves their sustainability in the marketplace. This entry was posted in 3D Printing Services, Business to Business, Custom Cast Urethanes, Laser Marking/Engraving, Manufacturing & Repair and tagged A Stucki Company, additive manufacturing North Canton Green Wooster Ohio Moon Township Pennsylvania, cast urethane production North Canton Green Wooster Ohio Moon Township Pennsylvania, contract manufacturing company North Canton Green Wooster Ohio Moon Township Pennsylvania, contract manufacturing work North Canton Green Wooster Ohio Moon Township Pennsylvania, laser etching services North Canton Green Wooster Ohio Moon Township Pennsylvania, metal machining North Canton Green Wooster Ohio Moon Township Pennsylvania, prototype production North Canton Green Wooster Ohio Moon Township Pennsylvania, prototypes for research North Canton Green Wooster Ohio Moon Township Pennsylvania, railcar components North Canton Green Wooster Ohio Moon Township Pennsylvania, samples for marketing North Canton Green Wooster Ohio Moon Township Pennsylvania, Seco Machine by admin. Bookmark the permalink.